The United States strongly condemns North Korea’s launch of an intercontinental ballistic missile. Testing an ICBM represents a new escalation of the threat to the United States, our allies and partners, the region, and the world,” Tillerson said in a statement. 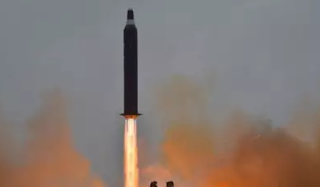 The North’s possession of a working ICBM — a development that President Donald Trump had vowed “won’t happen” — represents a milestone for the Communist regime. It could also radically alter the calculus for countries seeking to thwart the military goals of the isolated state. In his statement, Tillerson called the Pyongyang government “a dangerous regime” and said the United States would seek “stronger measures” at the UN Security Council to hold the North Koreans accountable for the latest missile test.